A dental implant is commonly made of titanium and replaces the root of a missing tooth. Replacement teeth are then placed on the post to provide a natural, durable and esthetic replacement for your missing tooth or teeth. 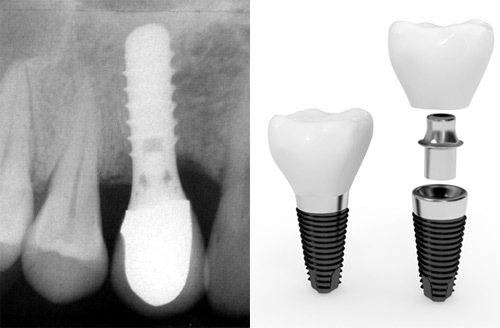 All implants in our office are supervised from beginnning to end by Dr. Mironov. He will meticulously design your implant treatment plan. While Dr. Mironov is qualified to place the implant posts himself, he currently partners with trusted oral surgeons and periodontists for this portion of the procedure. Then Dr. Mironov places the replacement tooth on top. He restores each implant crown himself, making sure that the design and fit of the tooth is perfect. Not only does a dental implant fill unsightly gaps in a smile, they are also important to deter bone loss which will occur when a tooth is lost. The titanium post fuses with the bone preventing it from dissolving. Fixed bridges and removable dentures are not the perfect solution to missing teeth and often bring with them a number of other problems. When teeth are lost, the bone which held the roots of the teeth starts to dissolve, and so removable dentures — which use this bone for support—may slip or cause sores on the gums because the dentures will not be as stable. 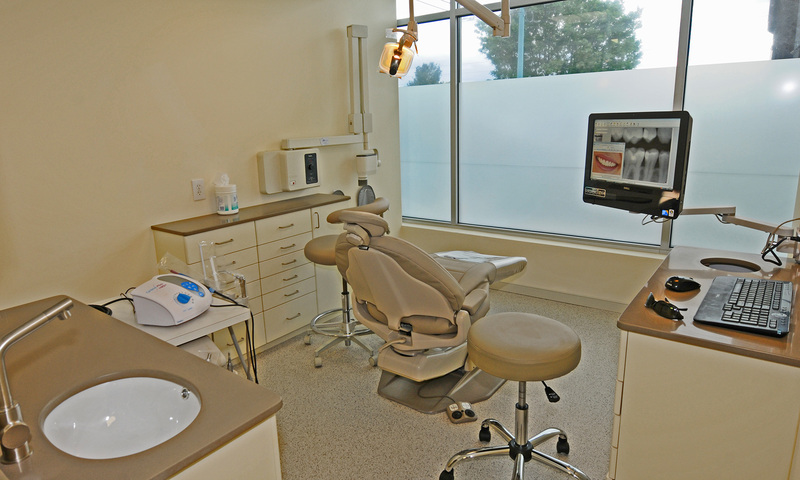 The ideal candidate for a dental implant is in good general and oral health. Adequate bone in your jaw is needed to support the implant. Some people who have lost bone in their jaw can still get implants, but the bone must first be rebuilt using special bone-grafting procedures. If your bone structure is adequate and bone-grafting is not required, the permanent dental implant, post and tooth restoration can sometimes be placed in one visit. People who are currently wearing partial or full dentures can replace these with dental implants, or use implants to stabilize and secure the denture, making it much more comfortable.